Man, it’s still such a long way to go! I can’t believe we’re still 24 weeks away from getting induced. 24 weeks is way too long! So much can still go wrong in the mean time. It’s frustrating to see time go by so slowly. Let’s start this weekly update with my symptoms: nausea has decreased nicely! Although I still get violent bouts in the morning right after I get up, apparently because my stomach is empty. It seems like as soon as I eat something, it all goes away quite quickly. This brings me to the next change: weight gain. 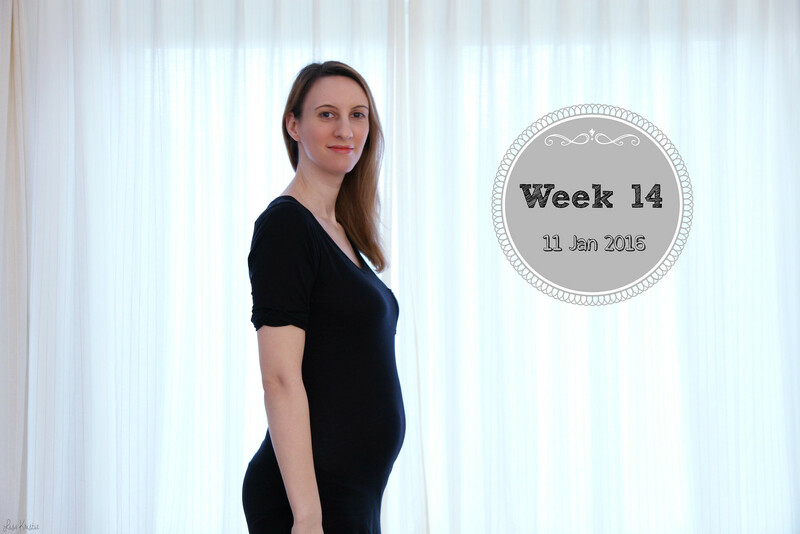 I didn’t gain any weight at all during my first trimester, and I have to admit it was starting to worry me. It’s quite funny that as soon as I started my second trimester last week, I suddenly gained half a kilo in the snap of a finger. I have to say that with nausea decreasing so much, my appetite is a lot better now. But it’s not just that. I definitely feel that I need to up my caloric intake. If I wait too long between meals, I get dizzy and weak. I also had a new issue with my heart rate going up and me suddenly feeling like crap and starting to hyperventilate. I think I figured out why this happened again. I noticed a pattern with both times it occurred: it was on days I got up very late and basically hadn’t eaten in about 10 hours and then started some activities without really eating anything first. So, I try to always eat at least a little something now before I start my day. It’s weird having to take this new habit, because I’m usually not a breakfast type of person. I still haven’t tried the doppler, by the way. I had decided to give it a shot last week, and then I didn’t. Maybe I’m a bit scared that I won’t find a heartbeat. I don’t know. I want to use it at some point, but there’s something holding me back at the moment and I can’t put my finger on it. On a positive note: my cold is healed up for the most part and I was able to get my flu shot on Friday, January 8th. I’m so relieved it’s done. Although it will take another few weeks before my immunity has built up enough. So meanwhile, I still need to be careful. Gert’s parents and aunt are still sick. I refuse to see them until they’re all healthy again. I felt a bit rude and selfish when I cancelled several dinners with them, but I cannot take any chances right now. I would rather offend people than risk my health, as well as my unborn baby’s health. The doctor stressed the fact that getting the flu while pregnant can be very dangerous for both mother and child. So I will live like a hermit for as long as I need to. I’m not risking this. I *think* I felt the baby move for the first time last week, on Wednesday evening (January 6th) while I was listening to music. It felt like really subtle flutters. I felt it again every evening since then. It’s still way too subtle to be sure though. But having experienced one full term pregnancy before, I now definitely know better what to expect from early fetal movement, and this sure resembled it a lot!